Giving credit where credit is due, she is spot on with this. There is no reason to continue to trample on one’s basic rights as a citizen after one’s legal penance is complete. Stand strong, Governor; don’t back down on this. 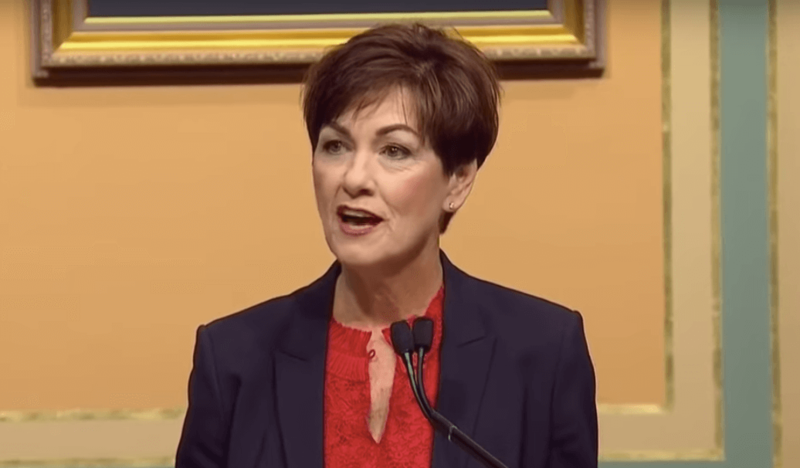 While the issue is working its way through the legislature, Governor Reynolds could show greater authority by issuing an executive order to restore those rights currently curtailed by the actions of Terry Branstad. I praise Governor Reynolds’ decision to push this forward. I know some people who are convicted felons of non-violent crimes. They have completed their sentence and are trying to get on with their lives. Having the terms “convicted felon” on your record makes acquiring a job and moving forward difficult and demeaning already. Being allowed to vote and have some control of your life is a big help. I also agree with Gary Dickey Jr. Felons not only rack up fines and restitution but they are billed for jail time. Being able to pay these bills and still be able to afford rent, etc. often is a struggle and should not affect your ability to vote. I’m probably the only one who reads this blog who is both in favor of reinstating felons voting rights and also am in favor of voter ID. If a felon has served their sentence then they should be integrated back into society and have rights restored. I’d be fine with voter ID if it wasn’t used like a ‘poll tax’ to suppress votes. Well done, Randy. Thanks for enlightening us to (what I missed as) Gov. Reynolds’ action. Good to know, and kudos to her (as well as you for writing this piece). Heartening to read – one of the very few instances where I see a Republican elected official do the right thing and stand up to the zealots and fearmongers in their own party. And typical how it is motivated by personal experience – a lesson to remember, that a flaw in someone’s past can actually turn out as a positive if that person learned from it.